We appreciate the loyal support of all our donors, including individuals, businesses, and organizations. A strong and generous donor base helps us further our mission of creating sustainable solutions for vulnerable children and the clean water crises. Just One Africa is a transparent nonprofit organization partnering with local leaders in Kenya to provide sustainable solutions for vulnerable children and the clean water crisis. We achieve this through the provision of clean water filters, operational support, education, and support of sustainable projects. We are committed to transparency in our mission, our work, our finances, and our operations. 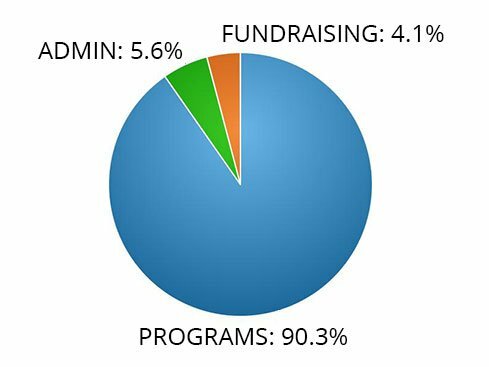 90% of every dollar you donate benefits the programs impacting people in Kenya. Just One Africa’s sound fiscal management practices and commitment to accountability and transparency have earned it a GOLD Rating from GuideStar, America’s largest provider of nonprofit information. Every year since 2014, we have been honored to achieve the Top Rated Nonprofit status from GreatNonprofits. Just One Africa is recognized as a tax-exempt organization under Section 501(c)(3) of the Internal Revenue Code. Your gifts to Just One Africa are tax-deductible in the United States. For more information about our financial or nonprofit status, you can contact us by phone (678) 640-6342 or e-mail us at [email protected]. We’re proud to have earned the highest level of transparency from Guidestar. GuideStar gathers and disseminates information about every U.S. nonprofit registered with the IRS. To obtain Platinum level, organizations must go beyond simply providing financial information and complete a charting impact report that includes the goals, strategies, capabilities, and progress of the organization. As a charitable corporation, we are required to file IRS form 990 with the Federal Government, and the financial information is presented in accordance with IRS regulations. You have seen how we manage our funds, the history of our organization and the projects we are working on. Now it is your turn, you CAN make a difference! Your tax deductible donation will go toward the most urgent needs of the organization and those we serve and you can feel good about it! We are an organization you can trust. If you have questions, please call us at (678) 640-6342.